Now responsible for the company-wide remit on the agency’s digital strategy across existing and new business, with a focus on the innovation agenda for Seven. I’m genuinely thrilled to be asked to sit on the exec board at Seven and continue to steer the wider agency transmedia content strategy as we continue to grow in the UK and internationally". Dave Castell, Head of Digital at multi-platform content marketing agency Seven, has been promoted to the award-winning publishing group’s Executive Board as Digital Director, a newly created role. Continuing to further Seven’s portfolio of progressive digital products for clients across web, mobile, tablet, social media and video, Dave will now be responsible for the company-wide remit on the agency’s digital strategy across existing and new business, with a particular focus on the innovation agenda for Seven. 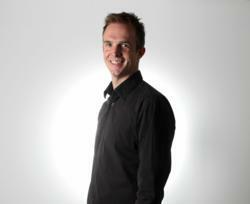 Having joined Seven a year ago, Dave will continue to report to Content Director Nic McCarthy, previously Editor of OK! Magazine, Eve Magazine and US Weekly in New York. Prior to joining Seven, Dave was Managing Director of Big Briefs, a digital entertainment solutions company that specialises in providing consultancy, design, build and content production services to the broadcast, media and web industries, counting the likes of PlayStation and the UK Government among its clients. As MD of Big Briefs, Dave consulted on the record-breaking U2/YouTube global webcast from LA for Google/U2/Universal (a concert generating 10 million streams); multiplatform consultancy for Nokia, content for AOL Music and TalkTalk in the UK; digital build and strategy projects for Mitsubishi, the Diageo Group, and high-profile consumer-facing digital projects with Skype and Samsung. Between 2002 and 2007, Dave was Head of Music and Mobile at Tiscali, launching Tiscali Showcase (2004), Tiscali Sessions (2006), Tiscali UK Radio (2006) and the Tiscali Music Downloads store (2006). As a result, Dave led Tiscali’s flagship sponsorship, live webcast and sessions from the Carling Weekends: Reading and Leeds as well as the successful multiplatform 02 Wireless activity, which crossed over to Channel 4 TV. Dave later joined Ingenious Media-owned Tough Cookie in May 2007, as Director of New Media for Whizz Kid Entertainment, and Creative and Technical Director for Tough Cookie, adding his own unique mix of technical and creative flair, and working closely with major global internet broadcasters (Bebo, Myspace, YouTube) to develop and monetise specialised web-only digital video and web build projects. Dave completed Tough Cookie’s pioneering 360-degree approach across productions that included the BBC Electric Proms, BBC Hub Sessions and the JD Sets for Channel 4. As part of Whizz Kid Entertainment, Dave worked across digital for the Baftas (BBC1), the Nokia Green Room (C4), PlayStation Day (PS3), and MSN Xclusives (MSN). Seven scooped three prestigious awards at the recent APA Awards. They were for Best Consumer Retail Magazine for Sainsbury’s Magazine, Best Integrated Solution for Sainsbury’s Little Ones for the second year running and Best Consumer Publication (non-retail) for Barometer (Savills) by Blue Door Media, a subsidiary of Seven. Seven was also highly commended with three digital projects. The awards were for its PROJECT magazine iPad app, Sainsbury’s Little Ones and the Guardian/Christian Aid Poverty Over campaign. Expert in creating intelligent, relevant and effective content across multiple channels, including magazines, websites, social media, interactive e-zines, video, phone and iPad apps.